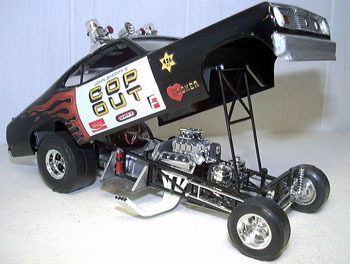 Here is my cop out Duster funny car. 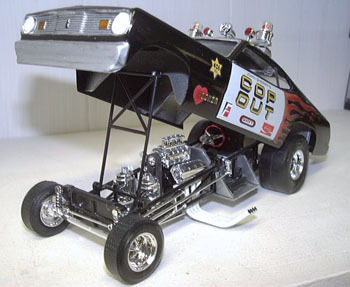 This was the reissue kit, and was built completely stock with the exception of the fender mounted spotlights - they made it look to clumsy. 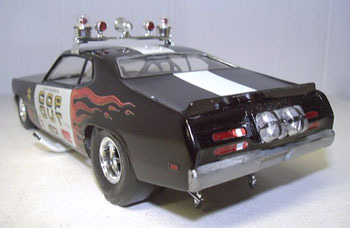 The body was painted with several coats of plastikote gloss black ,and then polished with model wax. the interior was painted krylon aluminum. the grille and headlights were painted rather plainly ,as i figured the body was fiberglass and neither would be functional. 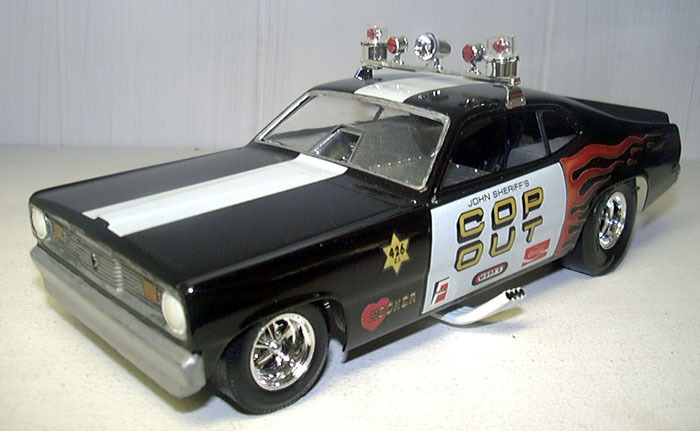 the taillights , marker lights and police lights were all painted with Tamiya red and orange clear over chrome ,as was the steering wheel rim.